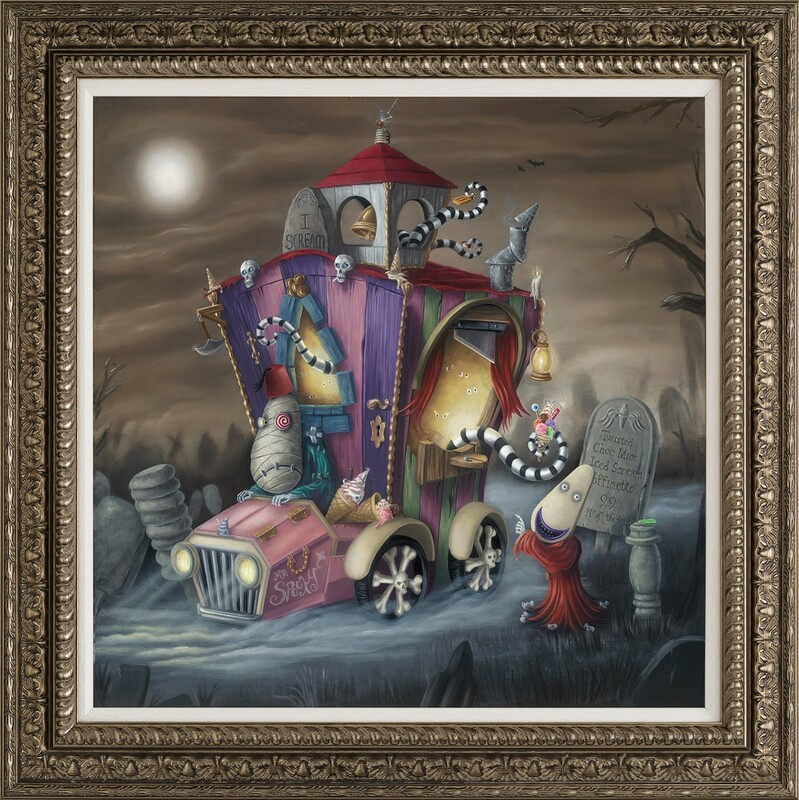 The Freakishly Fiendish Fright Scream Man, signed Peter Smith hand-varnished giclée on canvas. An Italian ice-cream man sells his soul to the Devil in this frostbitten fable, which is set in 1905. Battling for a scoop of success, Signor Staroli and the ill-fated Marconi Ballerie are rival business owners. 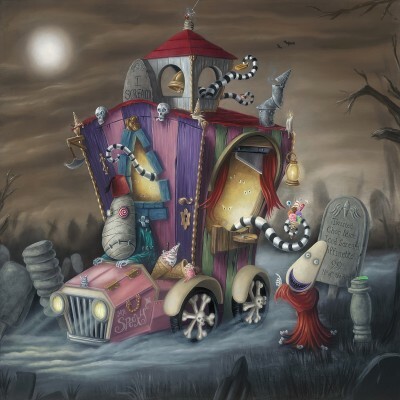 After Marconi is taken from his ice-cream van into the belly of the underworld, he is permitted to return once a year at Halloween. Beware all those who buy from his cart, as you too will join the realms of the undead for all of eternity! Framed size 30.4" x 30.4"